The former governor's upcoming speech at a liquor convention in Las Vegas doesn't square with her previous efforts to dry out Alaska. Shushannah Walshe on her woozy politics. It’s an odd coupling: Sarah Palin and the Wine and Spirits Wholesalers of America. Yet the group has just announced the former vice-presidential candidate as the keynote speaker for its 2010 convention and expo to be held in Las Vegas in April. The decision for Palin to address the pro-liquor group is surprising considering her actions during her last year as governor. In 2009, Palin introduced legislation to make it more difficult for some rural communities to import alcohol. Alaska political observers say they believe her speech is about currying favor with potential backers for her political future. When Craig Wolf, the president and CEO of WSWA, was told about then-Governor Palin’s efforts to curb liquor imports to villages, he said alcohol laws should be mandated by the states and that he doesn’t know what Palin’s opinions on alcohol are. Yet during 2009’s legislative session, Palin told lawmakers that the legislation to slow the flow of liquor to native "dry" villages was one of her top priorities for the session. The goal of the restrictions is to prevent or limit bootlegging to those villages, which are plagued with alcohol-related crime such as drunk driving, domestic abuse, sexual assault, and sky-high suicide rates. Alaskans in these rural communities can order alcohol to be flown in from Anchorage, but it is not sold locally. The laws at the time limited imports into the hub communities of Bethel and Kotzebue and other smaller damp communities. Palin wanted to cut in half the amount of alcohol allowed into those areas. She told reporters at a press conference last February that the alcohol restrictions "would help a damp community actually be damp and not wet.” The legislation never got passed, but it will be considered again during this year’s session, set to begin next week. Although it still hasn't passed, and it may never be approved, Palin’s bill has already completely backfired. Upset at the governor's interference with the community, a group put together a petition to put a vote on the ballot to change Bethel to “wet” status, meaning alcohol imports from Anchorage into the community would be completely unrestricted. “We want the citizens of Bethel to be able to choose what they want or don't want on these alcohol issues. We don't want the state to continue to flog us with these rules," Tom Hawkins, one of the men behind the petition, told the Anchorage Daily News. Using the legislation as a catalyst, Bethel residents voted to become “wet” for the first time in 32 years. Since the vote in October, Bethel residents can fly in an unrestricted amount of alcohol from Anchorage. There are still no liquor stores or bars in Bethel and no restaurants that serve alcohol, but several liquor licenses have been applied for and unless the communities can overturn the “wet” status it will only be a matter of time before alcohol is readily available in these communities. Rep. Bob Herron, who represents Bethel in the Alaska State Legislature, advised Palin to get local input on alcohol restrictions before pushing the bill, but she did not take his advice. Myron Naneng, the president of the Association of Village Council Presidents, agreed stressing that the administration should have spoken directly with the people in the villages. Naneng, who is an opponent of the “wet” status, said that the rates of domestic violence and alcohol-related accidents in Bethel and surrounding villages are up and that emergency rooms are inundated. He added that village public-safety officers are so overwhelmed that they may have to add more officers. Wolf wouldn’t comment on how much the former Alaska governor is being compensated. “She wants to get out there and talk to people and tell her perspective on things and get paid for it at the same time,” he said. The group has had other people involved in politics address past conventions, including James Carville, Mary Matalin, and the late Tony Snow. Sarah Palin’s spokesperson did not respond to queries for this article and would not confirm her appearance at the event. Shushannah Walshe is the co-author of Sarah From Alaska: The Sudden Rise and Brutal Education of a New Conservative Superstar. 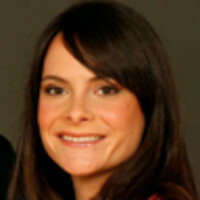 She was a reporter and producer at the Fox News Channel from August 2001 until the end of the 2008 presidential campaign.